Betty is the founder of AEST LTD, a woman-led social enterprise that creates livelihood opportunities for women in the cook stove and fuel value chain in Eastern Uganda. 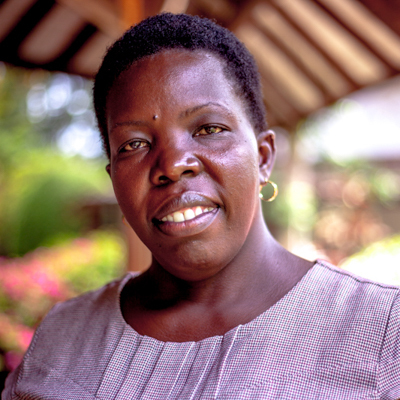 Betty holds a Master’s Degree in Development studies specializing in Women, Gender and Development from International Institute of Social Studies in The Hague, Netherlands, and a Bachelor’s Degree in Social work and Administration from Makerere University, Uganda. Betty and her company won the Women’s Empowerment Fund 2015 from Global Alliance for Clean Cookstoves to increase women’s participation in production, distribution and provision of after sale services for improved cookstoves and agro-waste charcoal.